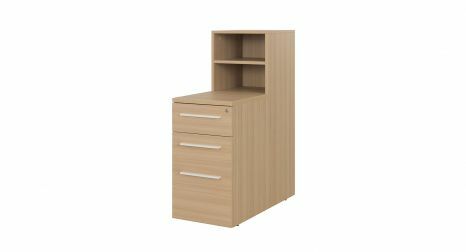 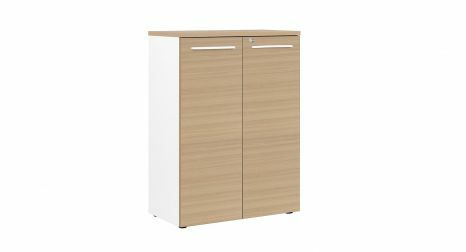 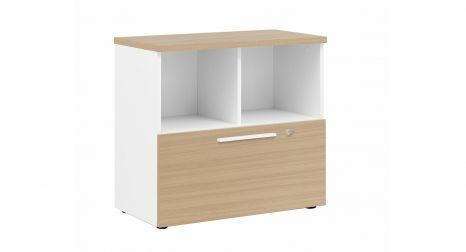 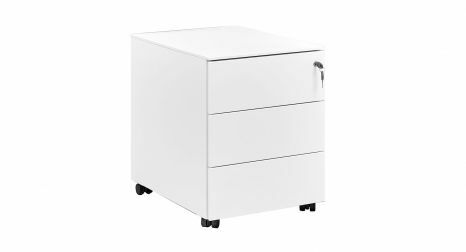 White low storage unit, 2 compartments and 1 drawer for suspension files, with lock. 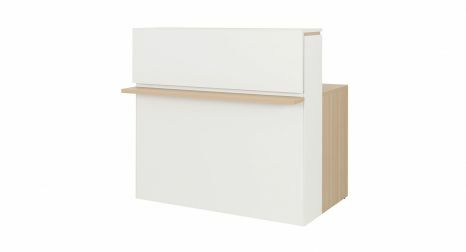 White sideboard, 2 sliding doors, with lock and 2 adjustable shelves. 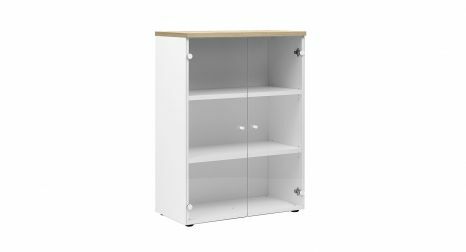 White cabinet, 2 doors, with lock, 1 fixed shelf and 3 adjustable shelves. 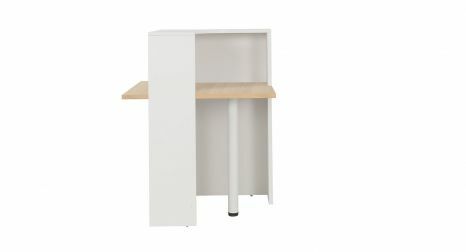 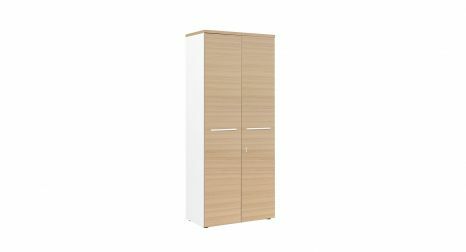 White mid-height storage unit, 2 adjustable shelves, with lock. 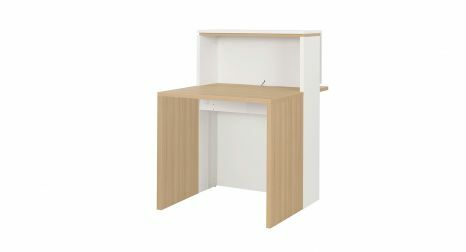 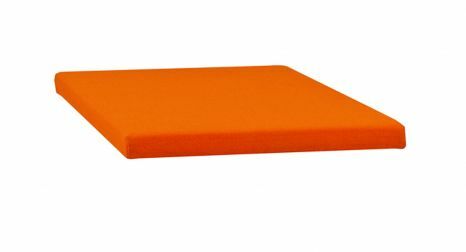 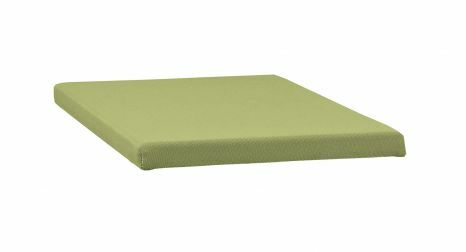 • Furniture: structure in particleboard covered with white paper, edges same finish. 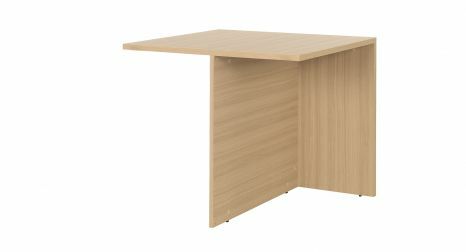 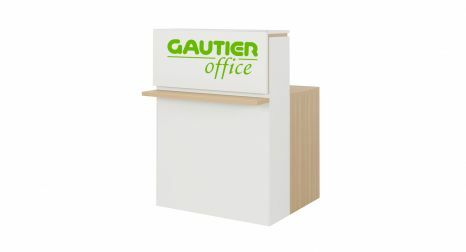 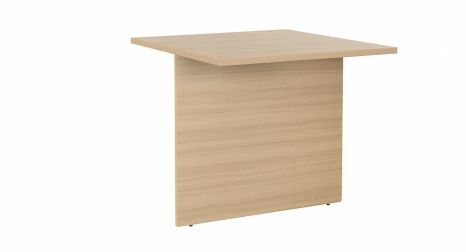 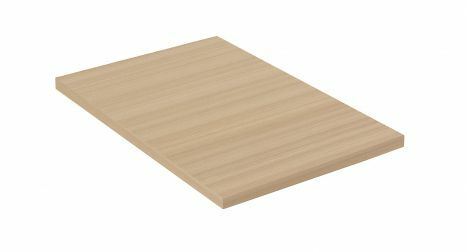 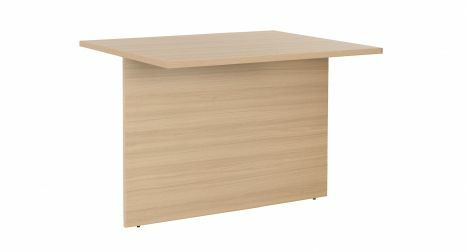 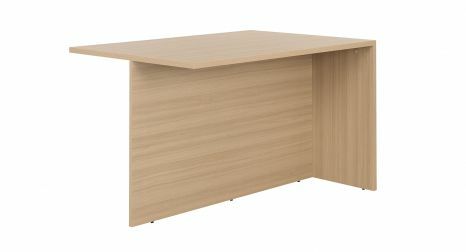 • Reception desks: Melamine-coated particleboard body white. 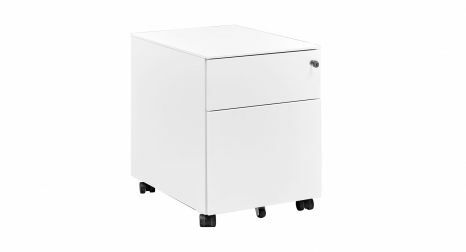 • Handles in white lacquered ABS. 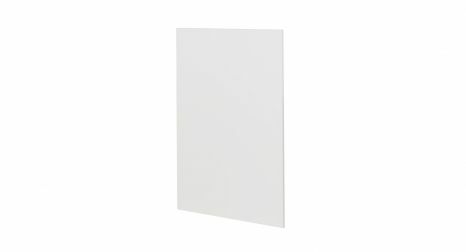 • Clear tempered glass 4 mm glass doors. 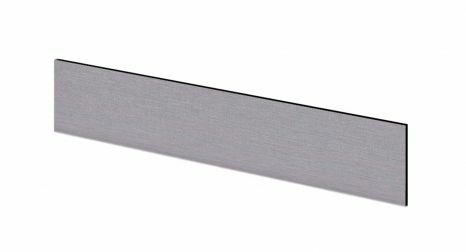 • Sliding profile in natural anodized aluminum. 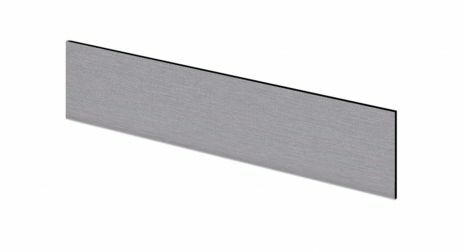 • Anthracite ABS guide profile in the mass. 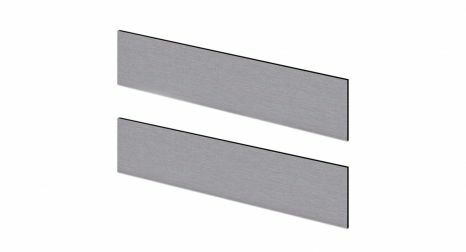 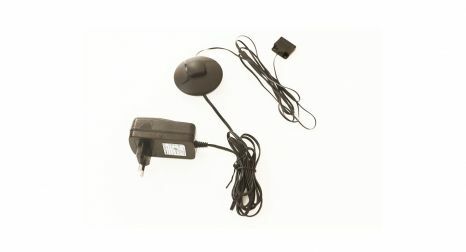 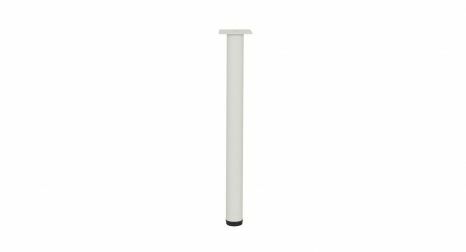 • Cable tidy and cable tray in ABS lacquered grey or white in the mass. 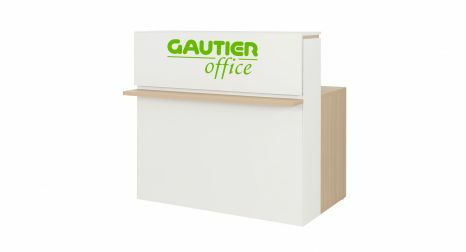 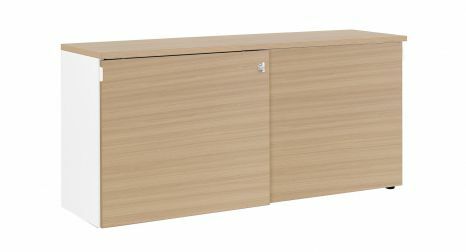 • Drawer for suspended files standar for France and USA. 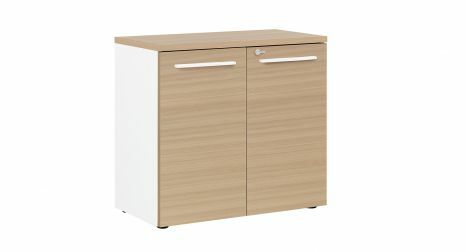 Handles in white ABS in the mass.